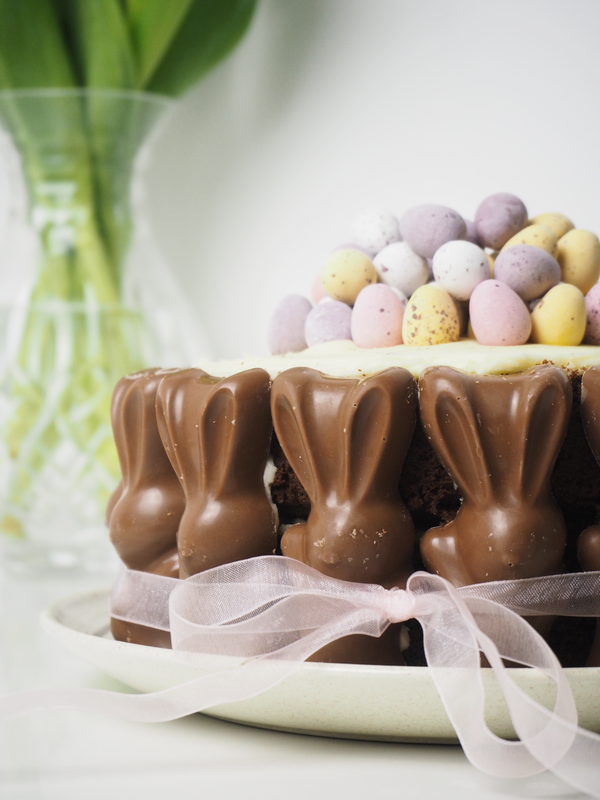 Whilst I was browsing through Pinterest the other week, I found the most amazing idea for an Easter bake. It’s very rare I make the effort or take the time out to bake, but I knew when I saw this little beauty I just had to give it a go. This one is actually made out of ice cream, but I figured a cake alternative wouldn’t be too hard and would last a little bit longer. 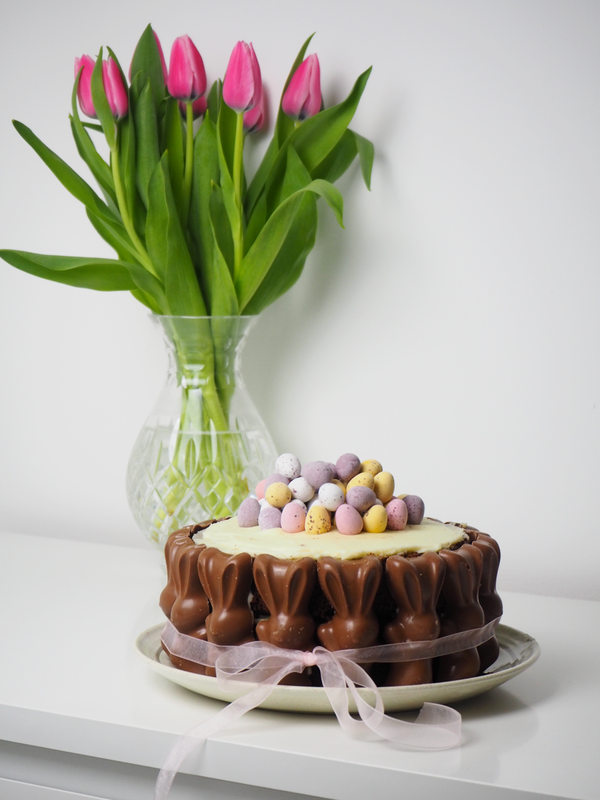 A few trips to the shop later (buying 15 Malteser bunnies in one go is a bit embarrassing) and here it is! I like to share a good recipe on my blog but simply don’t bake or cook enough to share them, but don’t worry, I have everything you need to know to make this beauty below. To make the mix it’s pretty easy – make sure you sieve the flour and baking powder, chuck it all in one bowl and mix until you’ve got a nice smooth consistency! I used two cake tins which were 7inch in size. Try to empty the mixture into each as evenly as possible and then cook at Gas Mark 4/ 160C in a fan oven for 20-30 minutes. For me, 27 minutes left the cakes perfectly cooked and springy to touch! To make the buttercream, make sure your butter is soft, and slowly add the icing sugar (sieving it as you go) and the hot milk. Eventually, you’ll have a lovely creamy mixture. Pop half of this in the middle, some more on top, and then save a little to help stick the Malteser bunnies around the outside. Add the mini eggs on top, and you’re done! It’s as easy as that. I decided to add a cute little ribbon as a finishing touch and to help keep the bunnies in place. What do you think? Would you give it a go?